Would you say that this was probably their most complex and difficult album, looking at it as a musician? It's no more complicated than Spirit. It's interesting what happened after the war with music and arts… In Europe [during the war], arts and music were used to further ideals, that the artists and musicians didn't share. There were people forced to make state marches, forced to glorify ideals they didn't really hold true, and the power of bullying had its most epic day. Post that, the album saw everybody throwing all the rules out. In that period of experimentation, classical music went through a very interesting walk, and when it came back, it seized on a different kind of experimentation, all of western art became more generous, and the most generous music is the stuff that rewards the listener the most. And I haven't found the same heart in any record other than those last two Talk Talk albums. They need to be listened to loud and they need to be listened to over and over again. And I'm stunned every time. How they make me feel is because of the generosity of spirit, it's like weaving spiders' webs from scraps. So delicate, so precious, but not a note or tone is uneventful. 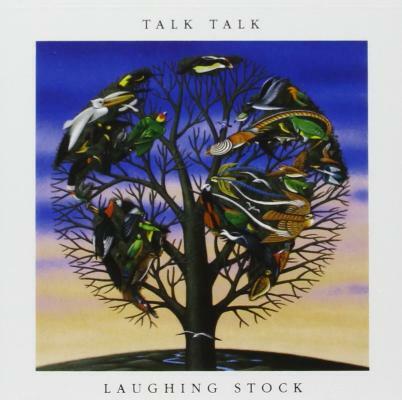 Out of the three Talk Talk albums, which would be your favourite? All of them. I'd rather lose a limb than lose one of those, on a desert island.